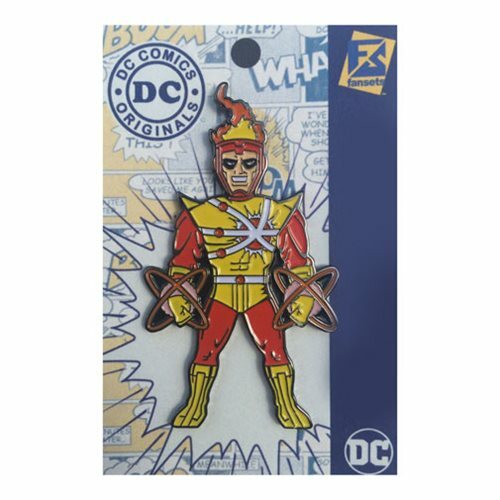 Stay hot with this pin from Fansets featuring the DC Comics superhero, Firestorm. Styled in his likeness from the popular comic Firestorm, this pin features Firestorm in costume as his role as the Fire Elemental. Perfect for adding to a collection or for wearing around, this pin is a must have for any fan of Firestorm. This DC Comics Firestorm Pin measures about 2-inches tall.